This is one of the most compelling books I’ve listened to. I had to keep reminding myself that this thriller was not a fiction. 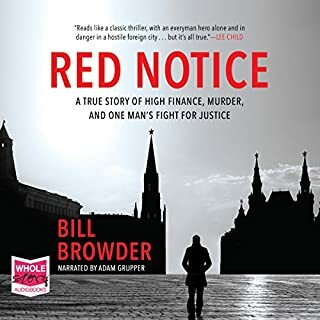 Bill Browder presents the corruption of the Russian government, the complexities of the processes of the US government, the personal tragedies of the main players and his dedication to the cause of justice in a very compelling way. He has the ability to explain very complex processes in layman’s terms. It’s a book that should be read by everyone in order to gain a clearer understanding of the the level of corruption in all levels of government that exists and is sanctioned especially in a Russia. Anyone wanting to understand the relationship between Russia and the USA governments needs to read this book. Good story pity about the narration. Caroline Lee’s narration is very irritating . I think her interpretation of the dialogue and her narration make all the characters sound like they are aggressive16 years olds. Eg. The inflections at the end of sentences which make them sound like questions and the shrill tones I find hard to listen to which is a shame. I don’t like or agree with her interpretation of some of the characters in the way she portrays them through her narration. 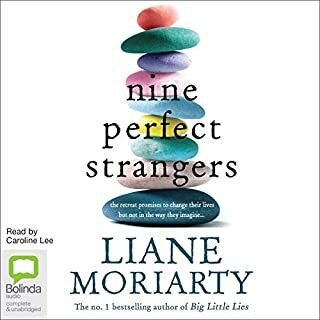 I like Moriartys stories but I don’t think I’ll be listening to any more.